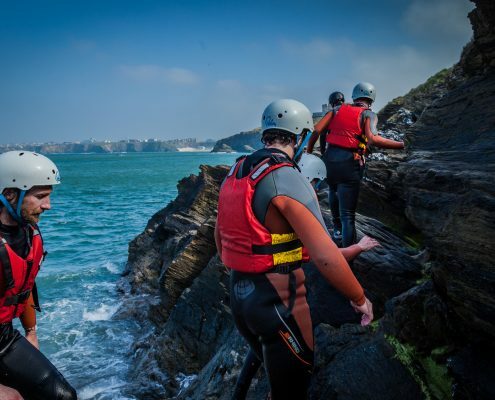 From only £48.00 per person (min 2 people)..
Our private Coasteering Cornwall adventures are specifically tailored to you and your group. 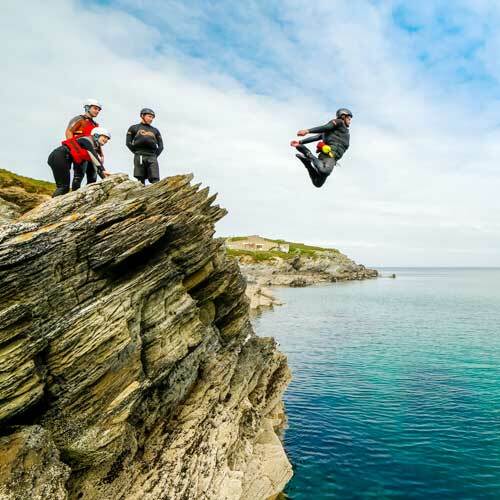 Wheather it’s just you and a partner or a small group of friends, you’ll enjoy adventuring along the Cornish coastline at your own pace with the privacy of your own specialist Coasteer guide. 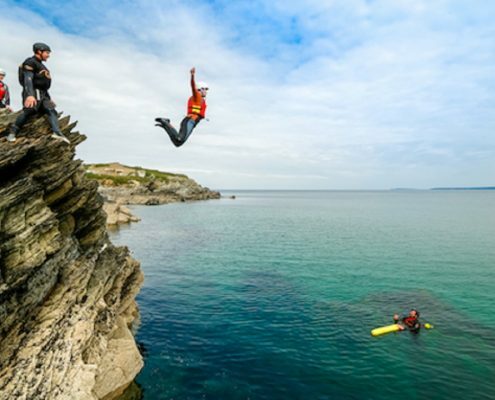 From wild swimming, low-level traversing, to everyone’s favourite, deep water cliff jumps. Not to mention scrambling up gullies, swimming through sluices, getting washed around in whirlpools, or exploring large caves. 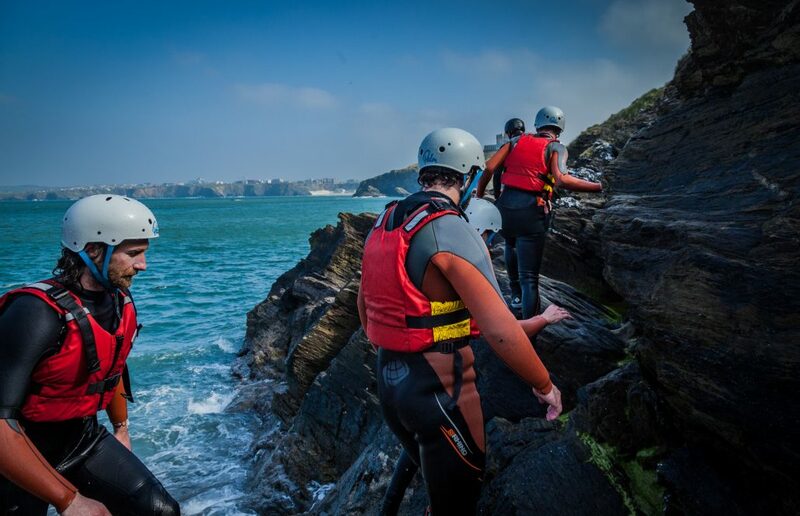 Our Coasteering sessions include a running description of the local Cornish wildlife, geology and history of the area giving a fun and active adventure learning experience. Each session is two hours long from once you are ready. 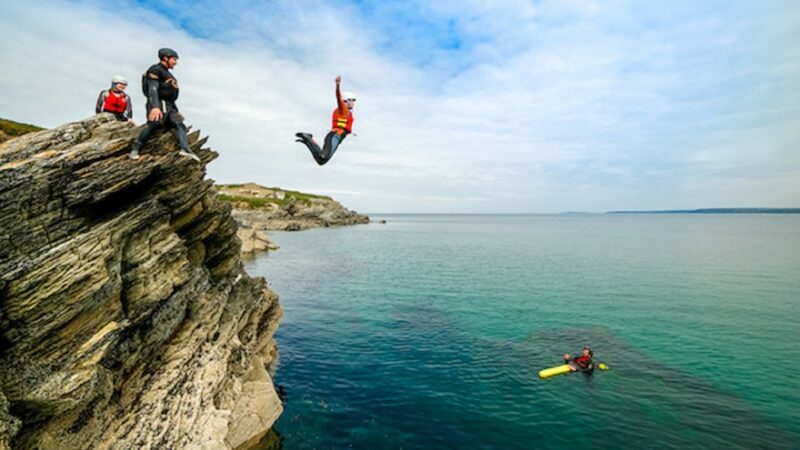 Please email us using hello@cornishwave.com or call 01637 872031 between 7am & 9pm each day for our latest availability. 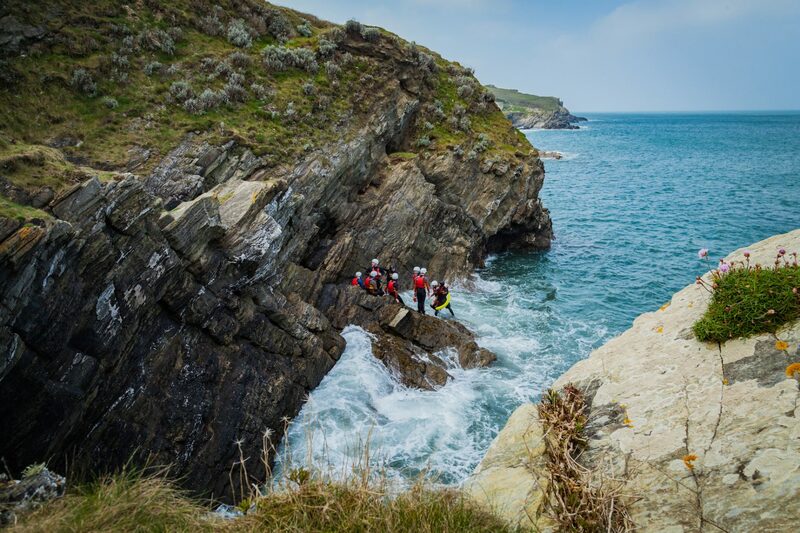 Our private coasteering sessions are matched perfectly with the tide, making sure we get to show all of our favourite elements that make up a great coasteering session. 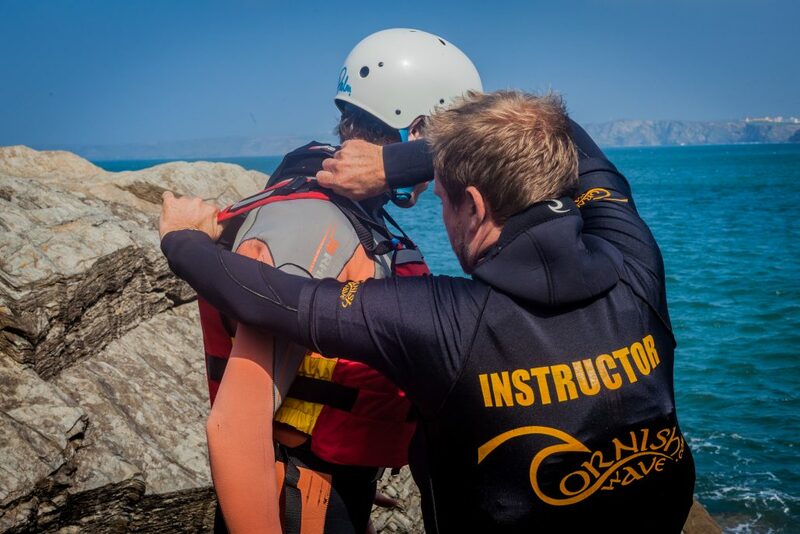 Arriving at our base in Newquay and a quick introduction to your guide, it’s time to jump into a warm wetsuit and coasteering kit. 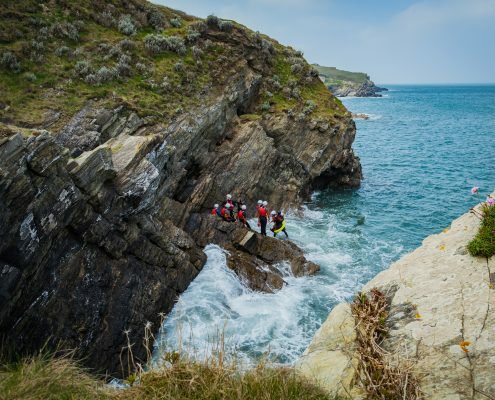 Our coasteer location locally known as ‘The Gazzle’ is a short 5 minute walk out on to Towan headland. 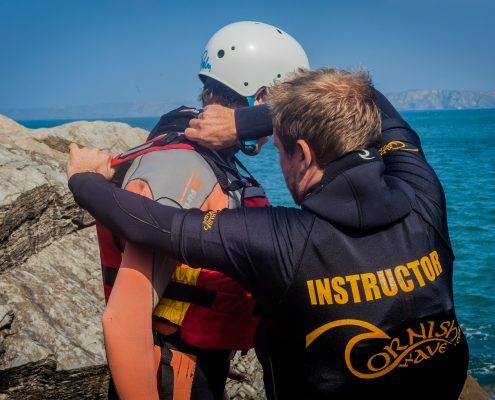 Before we begin the session guide will cover a few safety items and explain the techniques you’ll be using during your session. We will explain and show you everything you need to know. There is no experience necessary. We just ask that you can swim 25 metres. 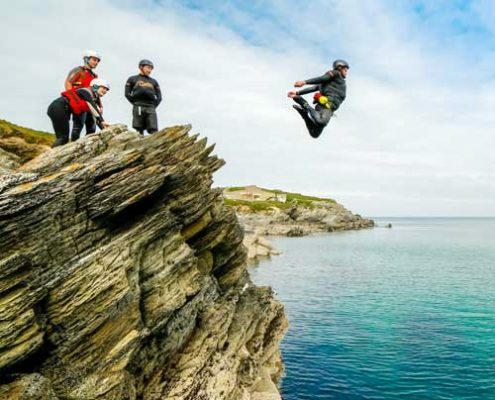 WILL I HAVE TO DO THE JUMPS? No. At no point will you have to do anything you don’t feel comfortable to do. Do as much or as little as you like. Don’t carry wet trainers around with you. Rent ours for £3 per pair.